Helen Garner is one of Australia’s best-recognised (and bestselling) writers. Though she first burst onto the scene with her debut novel Monkey Grip , in recent years she has been best known for her controversial – and undeniably fascinating – non-fiction books, The First Stone and Joe Cinque’s Consolation. The latest in Readings series celebrating Australian writers, sponsored by the Copyright Agency Limited (CAL), looks at Helen Garner’s return to fiction – albeit in a book that appears to once again blur the lines between fact and fiction. It is somehow unsurprising that Helen Garner describes herself as ‘in favour of very tough eulogies.’ As a writer she’s always been one for uncomfortable truths and avoiding the easy platitudes. ‘If you’ve got the nerve to describe the dark side of a person, the maddening side, then people seem to find this enormously relieving. If I go to a funeral and the person is described purely in glowing terms, I come away feeling very sad and cheated, feeling the person hasn’t been honoured properly. Everybody’s selfish and thoughtless and unkind. To pretend that somebody wasn’t is just awful.’ This world-view seems typical of Garner’s writing, as does the ability to confront the ‘dark side’ and still ultimately write about love and friendship (albeit, as she puts it, ‘when the chips are down’). Through directness and candour, through tough love, she pays tribute to the friends and strangers whose stories she tells. But she is quick to anticipate that the book’s status as a novel might trouble some readers. After years of adopting ‘fictional techniques’ in her non-fiction (‘I’m not sure what people mean by that’ she confesses as an aside), she has produced a novel with clear links to the real world. The narrator is Helen, a Melbourne-based writer. She is brilliant and acerbic, a keen observer, an ex-hippy who demonstrates a healthy balance between scepticism and open-mindedness. She seems immediately familiar. Other details match recognisable elements of Garner’s own life. 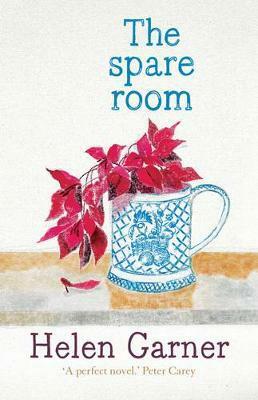 But from the outset, the sheer power of The Spare Room renders any attempts at autobiographical readings irrelevant. Helen’s friend Nicola is coming down from Sydney to stay as she pursues a last, desperate attempt at treatment for advanced cancer. Over three weeks together in Helen’s home, the two play out the rituals of caring and grief, and confront the sharp edges of their friendship. It seems like a contradiction that her first work of fiction in years feels like the most self-revelatory, the most exposed of all her recent works. It is, after all, hard not to read Helen as Helen. But Garner is very clear that calling the narrator Helen fulfils a particular purpose. ‘Over the last few years five people I’ve loved have died. And with four of those people I’ve been closely involved with the care of them right up until they died. One of the many things I’ve learnt from those experiences was that being in that role with a dying person brings out all sorts of feelings, many of which you are ashamed of, many of which can be quite ugly.